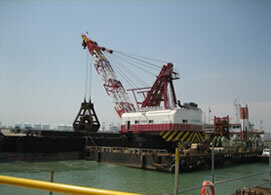 Established in 1974, Antara Koh has a wealth of experience in near-shore marine projects. We have delivered many contracts effectively on time and within budget over the years. We have a proven track record in our specialized area. This enables us to secure new businesses and also, greatly enhances project referrals from many large international contractors and consultants for us to carry out our specialist works in their mega projects. 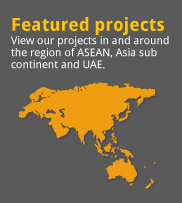 From smaller concrete passenger jetties to modern ore and liquid loading wharves, we have worked on most ASEAN countries coastline, in remote locations and in demanding weather and sea conditions. We have often carried out Demolition, Alteration & Addition works in full functioning ports or wharves to repair damaged facilities or support new upcoming developments. Our scope of works includes demolition of existing structures, extraction of piles, installation of earth retaining structures, etc. Our experienced project management team and site personnel are able to coordinate closely with Client and other port users to overcome site constraints and technical challenges. To be efficient and productive is our key to success. 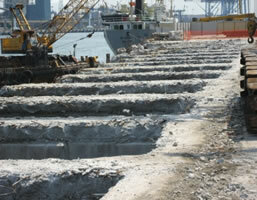 We have completed at Jurong Port the extension of Berth J3A/J4A and strengthening works to Berth J4. 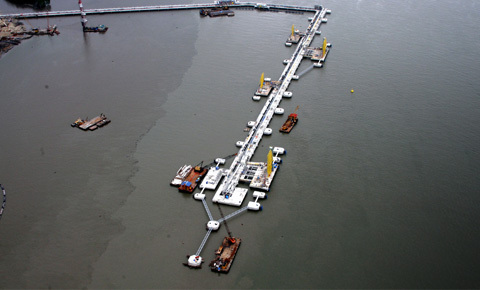 In the first phase of the project, we constructed a newly extended 160m Jetty for Berth J3A and a 120m Jetty for Berth J4A. For the 2nd phase, we carried out demolition and removal of existing deck including planks, beams, toppings, cutting off piles and then, proceed to reconstruct the wharf deck structure at Berth J4. 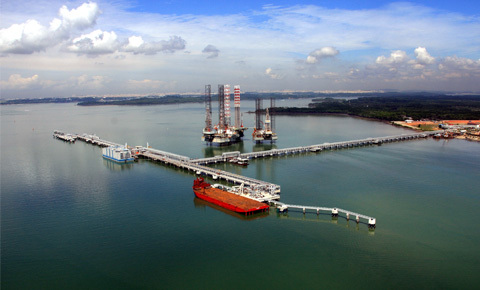 Currently, we are also undertaking the Widening & Extension of Raffles Dock to Existing Shipyard at Keppel Shipyard Tuas Yard, schedule to complete in early 2013. We are capable of carrying out capital and maintenance dredging works and revetment works for port and harbors facilities. 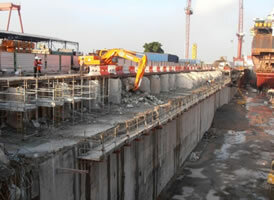 We usually work with specialist dredging contractors to carry out this portion of the works which are usually part of the wharf and jetty construction projects. 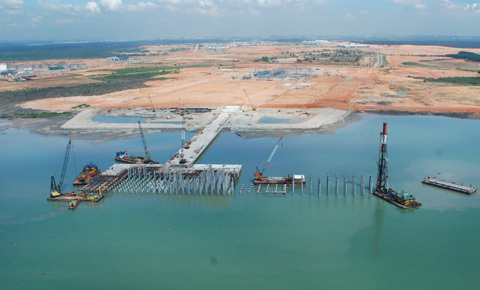 We can provide a total solution and seamless coordination in management, design and construction between the jetty construction works, dredging/revetment works and authorities requirements. 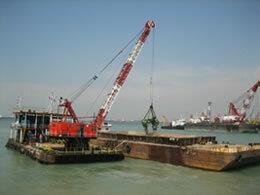 Owners do not have to worry for any coordination and interface between the jetty and dredging contractor.